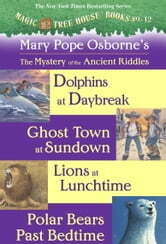 This ebook collection includes Dolphins at Daybreak (#9), Ghost Town at Sundown (#10), Lions at Lunchtime (#11), and Polar Bears Past Bedtime (#12). 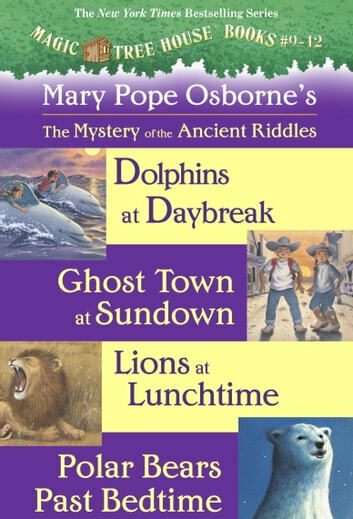 This time Morgan le Fay, the magical librarian of Camelot, challenges Jack and Annie to find the answers to four riddles. To do so, they must travel under the sea and to the Wild West, the African plains, and the frozen Arctic. It’s a difficult and dangerous task, but if Jack and Annie succeed, they will become Master Librarians!